My uncle is one of those people who is just too talented for his own good, he can draw, paint, and sculpt, and all to exceptional levels. 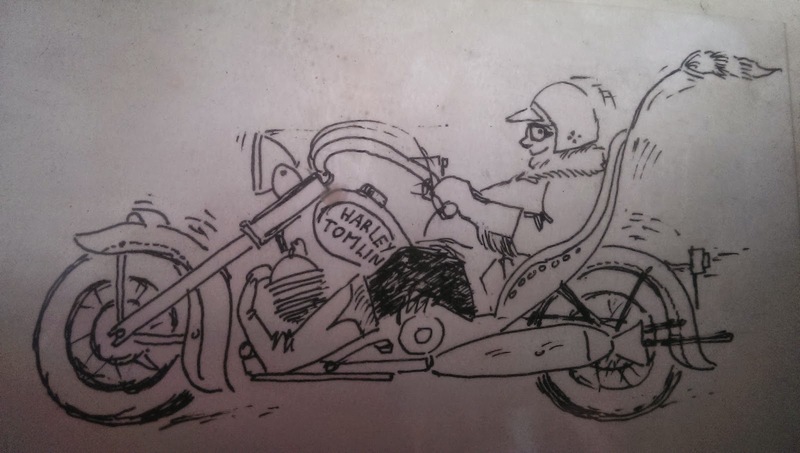 He sent me this doodle a few years ago for a birthday, the bike may not be quite correct, but he got the gut spot on!! wotcha jan, didn't know your uncle had seen me on my old sporty!